(Empty Backbone) SGC Empty backbone for bacterial expression under T7 promoter. Uses infusion based cloning method. Derived from pET15. 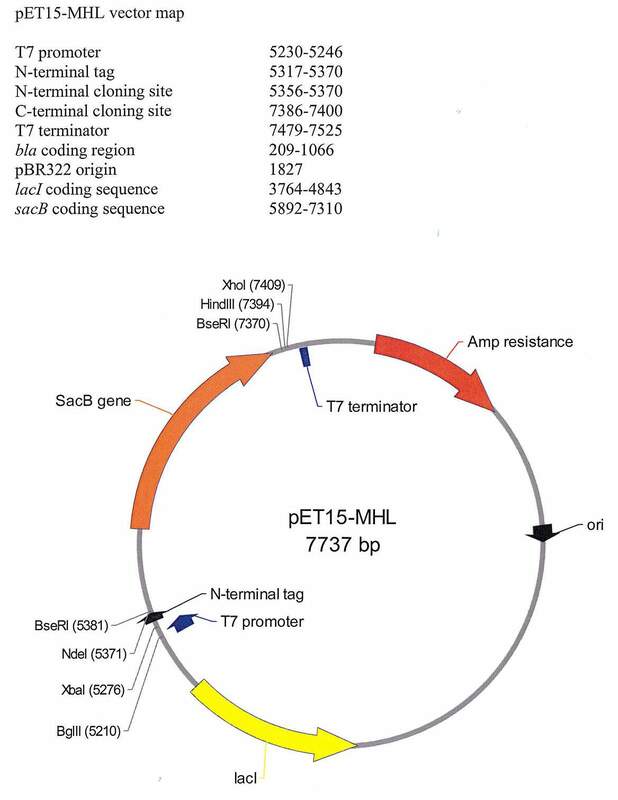 Contains an 18 amino acid N-terminal fusion tag consisting of a 6X His followed by a TEV cleavage site. The GSS residues after the Met start site were removed to reduce N-terminal gluconoylation via preventing N-terminal Met excision. Two stop codons are included in the vector at the C-terminal cloning site. The pET15-MHL vector (GenBank ID: EF456738.1) is a derivative of pET15b (Novagen) and is for infusion based cloning. 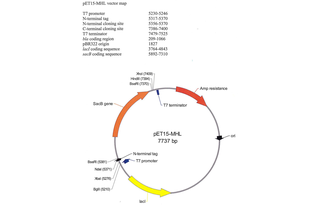 It is used for T7 promoter driven expression of recombinant proteins with the addition of an 18 amino acid N-terminal fusion tag containing 6X His followed by a TEV cleavage site. The GSS residues after the Met start site were removed to reduce N-terminal gluconoylation via preventing N-terminal Met excision. 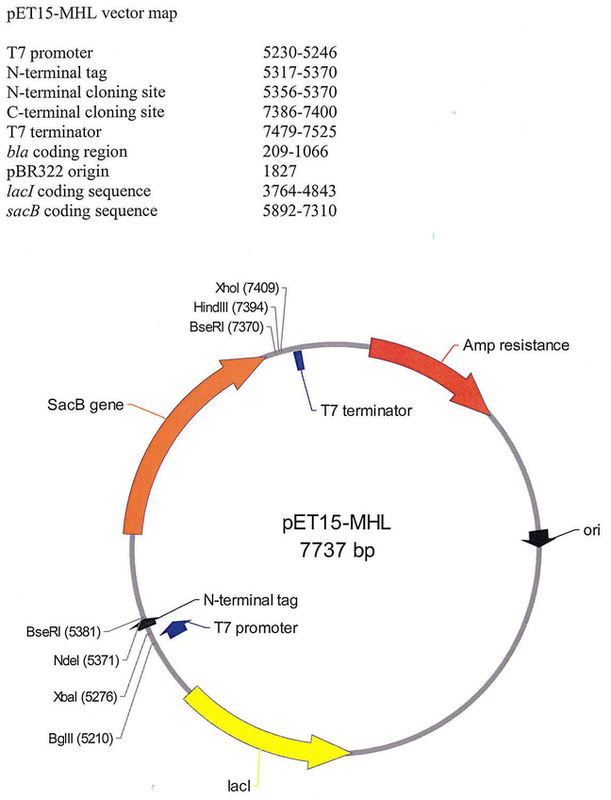 Two stop codons are included in the vector at the C-terminal cloning site. Insertion of DNA sequence into the cloning/expression region is preformed using BD-Biosciences Infusion enzyme mediated directional recombination between complementary 15 nucleotide DNA sequences at the ends of the insert (PCR product) and BseRI linearized vector. Insertion of target sequence involves replacement of a SacB gene stuffer sequence, which provides for negative selection of the original plasmid on 5% sucrose.